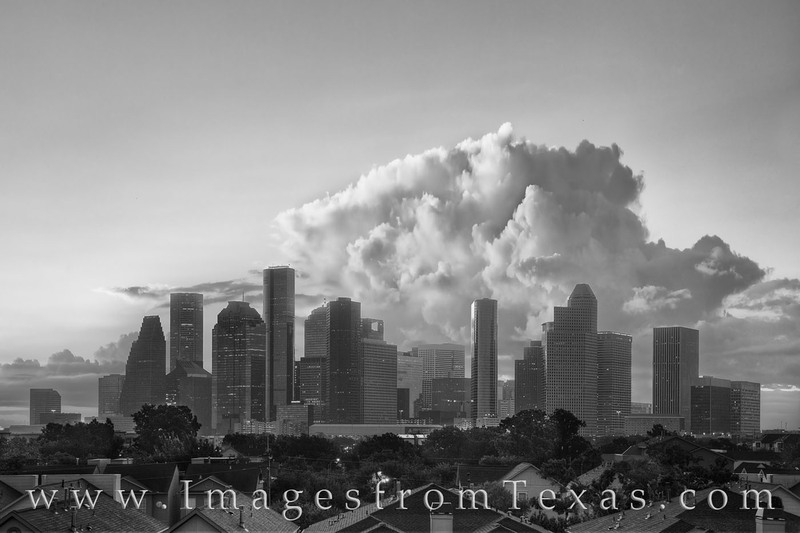 A little before sunrise, overnight storm clouds linger over the beautiful skyline of Houston, Texas. This black and white photograph was taken from the rooftop of a nearby building that offered great views of downtown. Photo © copyright by Rob Greebon.